What Is Your Life Word? You're likely making progress with your New Year's resolutions and goals for 2017. I am. Plus, I recently discovered and read the new book, Life Word, and because of that I have also now selected my one Life Word. 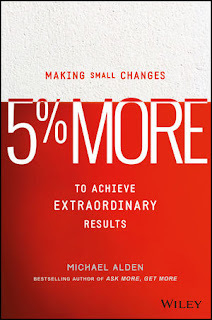 The one word that as the book authors say will significantly impact my life and legacy. 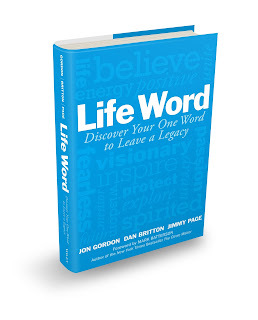 Life Word shows you the three-step process for how to identify your Live Word and the "why" behind that word so you can live with a renewed sense of power, purpose and passion. Your Life Word becomes the driving force to align your efforts and eliminate distractions. And, by living your Life Word you create your legacy, defined by what you leave behind that lives on in others. Your legacy is always about the lives we touch and the people we influence. And, as the authors explain, the value of your life and your legacy is revealed in the stories that those who were most important to you--those who knew you best--will tell. 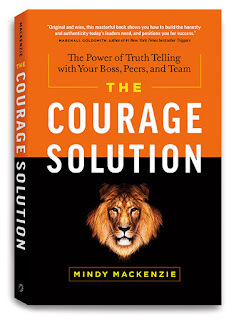 The Courage Solution, a book by Mindy Mackenzie, is all about the simple truth that the only thing you can reliably change or control is yourself. So, that is why Mackenzie wrote her book -- to teach you how to take actions that ultimately will improve your impact on the job and increase your happiness and fulfillment in your career. About two years ago, Shane Atchison and Jason Burby wrote an interesting book about the principals needed for delivering true business value in digital marketing. One of the most helpful sections of the book, Does it Work?, is the list of elements they believe are the most important for building a good culture where a digital team can be flexible, work together great, and move seamlessly to new ideas and process. Stay flexible. Encourage thinking outside roles. 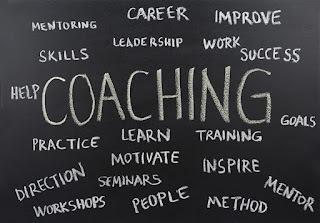 Don't let job titles limit individual contributions.Hire learners. 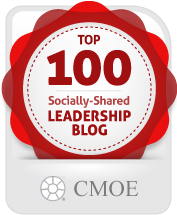 Your team should be curious and willing to learn new things.Empower people to share. Everyone's opinion matters.Make sure problems come with solutions. Don't let whiners complain about what is wrong without bringing proposed solutions to address the problem.Foster a culture of achievement. Provide real data that clearly demonstrates to your team that they are making a difference and accomplishing something. 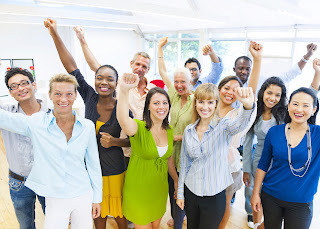 In 2016, the Wellness Council of America named Lance Breger as one of the Top 50 Health Promotion Professionals in the U.S..
Today, Lance shares his recommendations for how a business leader can create a culture that supports workplace employee wellness. 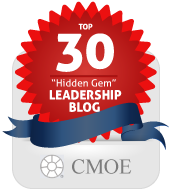 Question: What are two to three things a leader can do to create a culture of wellness at their workplace? Lance: Livingby example is the single very greatest thing a leader can do to create a culture of wellness. Be the change you want to see in the workplace. Even the small wellness efforts are noticed like bringing a water bottle to meetings, making good food choices, leaving the office on-time, unplugging on weekends, using a standing desk and taking the stairs. 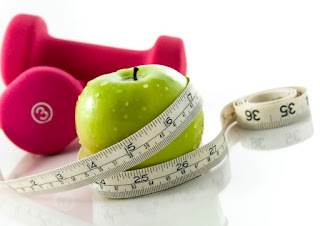 Question: What else can a leader do to demonstrate he/she values wellness for their employees? 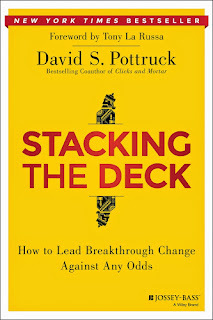 Stacking the Deck: How to Lead Breakthrough Change Against Any Odds, is as relevant today as it was when published two years ago. That's because the pace of change in business is just as fast as it was two years ago. 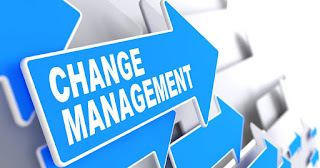 Unfortunately, even when business leaders know they need to make changes at their company, many struggle with how to start making that change. And, how to create a sense of urgency around that need. Here is some great job candidate interviewing advice from Doug Chavez, Global Head of Marketing Research & Content, Kenshoo, as quoted in the book, Does it Work? "When interviewing candidates, I look beyond pure smarts, since we can filter for that...I look for the 'fire in the belly' and if the person has a curious personality and a history of curiosity in their career path. 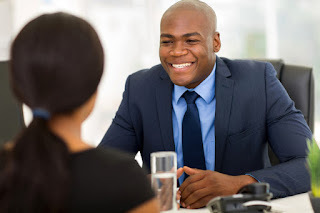 Candidates with a strong sense of curiosity always end up having a great conversation instead of an interview." 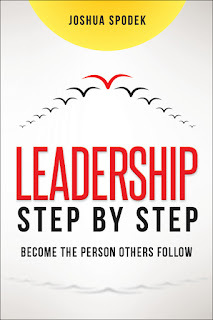 Yes, it will take you some time to read Joshua Spodek's new book, Leadership Step by Step. Yes, it will be a little like doing "homework." 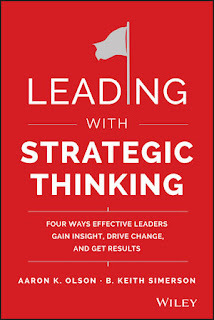 Yes, this is a book you'll read and likely need to revisit a few times for the concepts to fully sink in. Yes, this is a book you must read if you want to become the person others will follow. The time and effort you put into, Leadership Step by Step, will be well worth it! 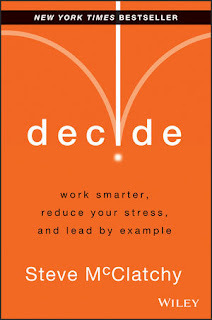 Spodek guides you through what to do and how to do it in an integrated and comprehensive progression of exercises designed to cultivate key abilities, behaviors, and beliefs through experiences. "Tasks that you are driven toward by Gain produce more significant positive results in your life and your business than tasks that you are driven toward by Prevent Pain." And, before you hold your next meeting at work, remember that a "Gain focused meeting will move your business forward versus a Prevent Pain meeting, which will simply keep you from falling behind." 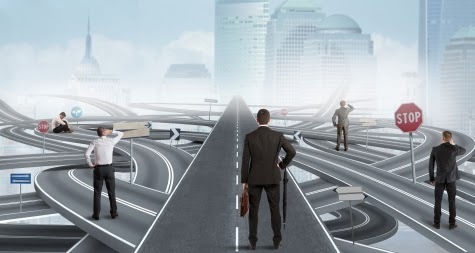 • Employees clearly understood how what they did made a difference and how their contributions made the organization more profitable and/or more effective. • The workforce included a blend of long-term employees with a rich company, product/service and customer history; employees who had been at the company for five to seven years;and then new hires with a fresh perspective and keen sense of new technologies and techniques. That blend worked best when the mix included virtually all A-players. "Change is disturbing when it is done to us, exhilarating when it is done by us." - Rosabeth Moss Kanter. 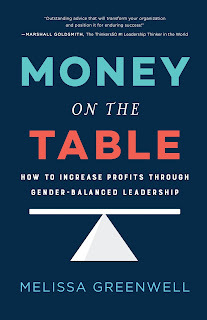 "While the global population is largely gender balanced, men hold eighty-five percent of senior leadership positions in public companies," states Melissa Greenwell, author of the new book, Money on the Table: How to Increase Profits Through Gender-balanced Leadership. Furthermore, Greenwell shares that at the current rate of change, most readers of her book this year will be dead before gender balance hits fifty percent. And, the fact of the matter is, explains Greenwell, "Hardwiring in the brain is different for men and women. 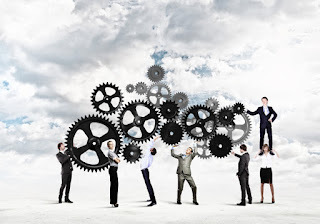 The physical differences are associated with natural tendencies in thinking, communicating, and problem-solving that are all needed in business. Men and women demonstrate these traits in varying degrees. 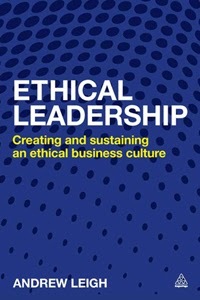 Successful organizations have leaders who exhibit the characteristics of both genders."